Under state law, the MBTA is next able to raise fares in January 2019. The MBTA’s general manager wants it to hold off raising fares early next year, but its governing board is reluctant to rule out increases because of growing fiscal concerns. 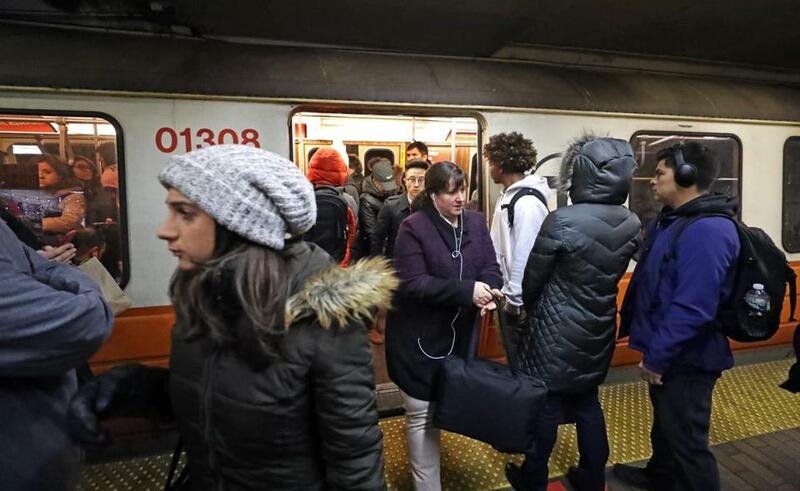 The T is next able to raise fares in January, but at a board meeting Monday, Luis Ramirez, the Massachusetts Bay Transportation Authority’s general manager, suggested waiting until July 2019. Ramirez and his chief administrator, Michael Abramo, said winter is not a good time to raise fares, when the MBTA is often busy with weather issues. It would also make more sense to schedule any fare increases for the start of a new fiscal year, which is July 1, they said. That’s partly because the T’s current fare equipment, due to be fully replaced by 2021, is difficult to program for increases. But with the MBTA facing a budget shortfall that could be as high as $100 million in the coming fiscal year, board members said they cannot rule out raising fares starting in January. State law limits the MBTA to one fare hike every two years, but after the last increase, in July 2016, it pledged to delay the next increase to January 2019, at the earliest. Fares cannot increase by more than 7 percent; at that level, subway fares for CharlieCard holders would go to $2.41, and bus rides, for example, would go to $1.82. That would raise between $12 million and $15 million in fiscal 2019. Transit advocates generally support regularly scheduled fare hikes at relatively low rates, saying a low, steady increase is preferable to more occasional but much larger increases. But some riders say the T should not raise prices until service has noticeably improved. The MBTA is reviewing other budget options, including adjusting parking prices for the first time since 2008 or signing up more companies and their workers to purchase corporate transit passes. Potential cost cuts include a possible voluntary retirement program for employees and changes at T facilities designed to increase productivity. The T has to finalize its budget by mid-April. Officials are also hopeful the Legislature will give the T some latitude by allowing it pay some employees with funds from outside of the operating budget, which would save about $27 million. The board’s vice chairman, Steve Poftak, said he could not dismiss a fare hike in part because of the uncertainty about whether lawmakers will grant that budgetary wish. Since the T came under new governance in 2015, it has focused extensively on slowing the growth of operating costs even as it boosts spending on repairs and maintenance. It has made some progress: The T was once projected to have a $335 million budget gap in the current fiscal year, but has cut costs and the gap is closer to $30 million. The budgetary focus has launched endless debate between the T, lawmakers, and advocates over whether a budget gap even exists, since the T’s financial projections do not include more than $100 million the Legislature contributes each year to fill the hole. Lawmakers are expected to provide such funding again next year, but the T says it would prefer to spend most of that money on repair and maintenance work, rather than on operations.